FORT WORTH, TX and PUEBLO, CO - RIDE TV, cable and satellite television network, is proud to present the brand new series PBR Ride to Glory, featuring the Pendleton Whisky Velocity Tour and other exciting bull riding events. The series follows the long road to glory as cowboys travel the country facing off against America’s fiercest bulls. RIDE TV will air 40 (forty) episodes of PBR Ride to Glory in primetime weekly for both the 2019 and 2020 seasons. The show will be a highlight the Pendleton Whisky Velocity Tour and other PBR bull riding events. The series will be hosted by Anthony Lucia, Colby Yates and Janie Johnson. Lucia’s performance record on the rodeo scene as a trick roper and a commentator brings a fun energy to the telecast booth, where he is joined by Yates, a five-time PBR World Finals qualifier who provides deep knowledge and understanding of the sport. Johnson joins from the chutes as a sideline reporter who grew up in rodeo and is still a WPRA Professional Card holder. PBR Ride to Glory will premiere on RIDE TV on March 12th, 2019. 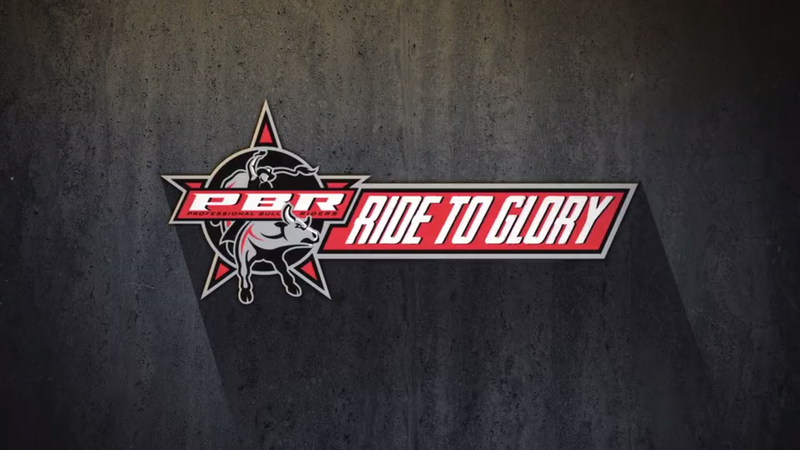 Click here to watch the official trailer for PBR Ride to Glory. You can watch RIDE TV on Dish Network, channel 248 and on many cable systems across the United States and Canada. To see where else you can watch RIDE TV, please visit www.RIDETV.com/Watch.